Can A Collection Agency Call A Friend Or Family Member About My Debts? Yes, but there are a great many rules that the collector must follow when they do something like this. And more often than not, the collector breaks those rules, disobeys the law, and violates the rights of not only the person who owes the debt, but also the individual to whom the call was made (i.e. the friend or family member). The area of law that governs this type of activity is called the Fair Debt Collection Practices Act. This is a federal law that regulates what a collection agency can and can’t do in their attempts to collect on a debt. For instance, the FDCPA states very clearly that if a debt collector communicates with someone other than you about your debts (like a friend or family member), the only acceptable reason for doing so would be to confirm the correct location information (i.e. address or phone number) of the person who owns the debt (you). The collector cannot, however, tell the friend or family member that they are calling about a debt, or that you owe a debt, or to whom you owe a debt, or that they have been trying to find you without any success so that they can collect on the debt, or even that they are a debt collector. They also can’t call the friend or family member more than once (unless that person requests another call). In other words, if a third party individual (whether that person is a friend, family member, high school classmate, neighbor, off-handed acquaintance, or a reference) is contacted by a debt collector, that individual should really have no idea that they were just talking to a collection agency. That’s how strict the law is. And as a result, there are frequent violations. Such violations typically carry a fine (or damages) of $1,000, which would have to be paid to you. 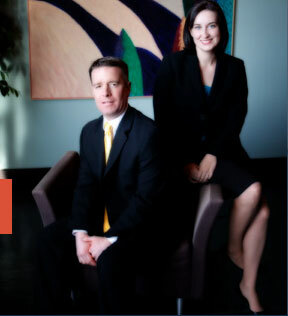 The St. Louis bankruptcy attorneys at Brinkman & Alter, LLC have been protecting people against the illegal tactics of collection agencies for years. Our goal is to make sure that the debt collector is held responsible for any wrong-doing, and get you on the road towards financial freedom. And if necessary, we can get the rest of your debt discharged by way of a St. Louis Chapter 7 bankruptcy or a St. Louis Chapter 13 bankruptcy. And please remember, all office consultations and phone conversations are free of charge.